Made of high quality Aluminum, long life cycle. 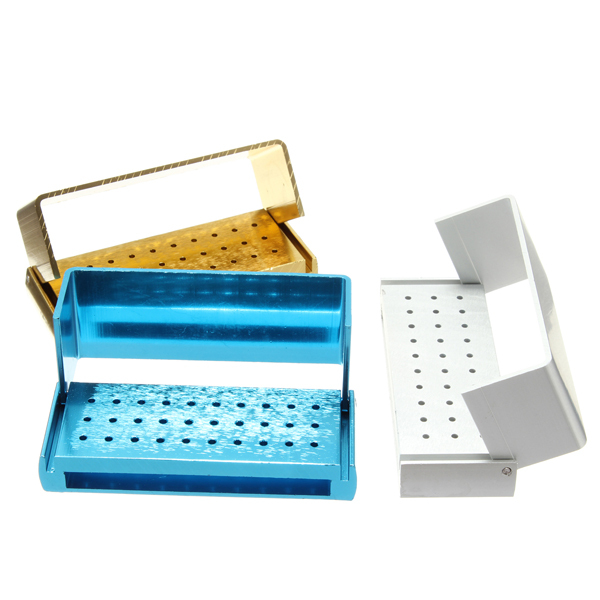 The disinfection holder covers 30 holes for FG burs, point for high speed. Autoclavable under the high temperature of 135 and pressure of 0.22Mpa. The disinfection holder is for burs sterilization, you can sterilize 30 burs each time.